I go into detail over what I bought in preparation for the GW2 release. Hopefully this gives you some ideas on what to buy in the grocery store and the snacks and meals you can make. 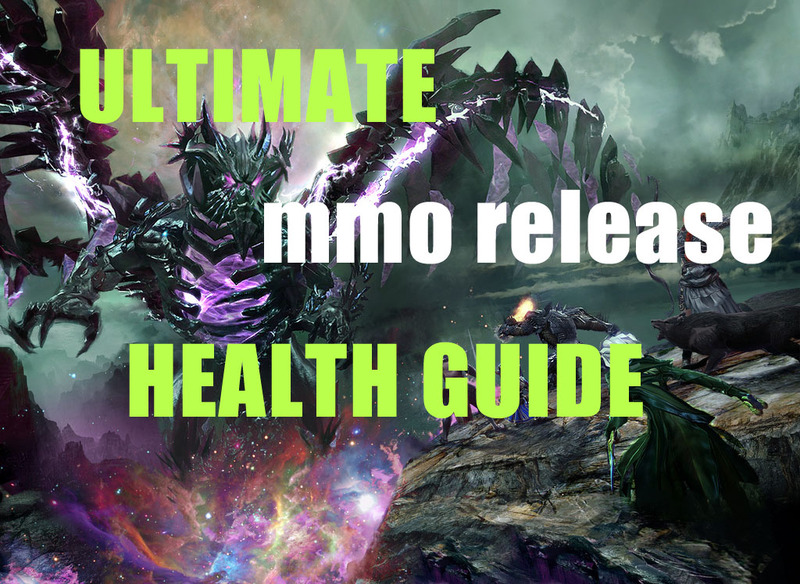 If you want a more in-depth guide to eating healthy during the GW2 release visit this gigantic writeup on the ultimate guide to stay healthy during an MMO release. A fun build exploring the options you can have with the changes to 2handers. This build makes use of tempest rush with tailwind to fly through the map mowing down anything that gets in your way. You must have a weapon with high spirit per second and make use of all the skills with spirit per second. Just ignore normal mobs and breeze by them, only stopping to kill elites. Use serenity and seven sided strike liberally as your defenses are quite low since this build requires taking spirit passives over defensive passives. I could only get this to work in Act 1 because Act 2+ mobs just hit too hard, but I imagine with better gear this build could be used very effectively in Act 2+ to just blaze around looking for all the elites. Equipment build, share to unlock! MMO launches. The perfect excuse to abandon all illusion of self control. The time to just let loose and have fun. Fresh fruits and vegetables? HAH! The only thing resembling a fruit that you’ll be eating for the next week will come in the form of delicious fruit flavored bears. What if you could maximize your play time AND shed unwanted pounds? It is possible to not only be healthier, but the strategies I’m going to show you in this post will actually give you more play time, save you money, and are EASY to implement. Meal replacement fruit smoothies have been the cornerstone of my own diet for months now. They are amazing because even though I work from home I find cooking more than once a day tedious. Making meal replacement smoothies will allow you to get in all of the nutrients required to keep you alert and energized. I recommend making a shake during the “brunch” time so that it will keep you satiated until the late afternoon. Almond milk/Coconut milk – Adds extra flavor to the shake. Regular milk will work as well but lactose does not sit well with my body and I’ve found almond milk and coconut milk to cause a lot less bloating. OPTIONAL: Banana – add a banana if you are a hardgainer and find it difficult to pack on weight and generally need a lot of calories. Note: the links above are affiliate links, if you purchase something from those links I get a small fee from Amazon. It does not cost you anything more and helps support what I do here at The Healthy Gamer. Body composition and especially fat storage is primarily a result of your eating habits. Abs are built in the kitchen, not in the gym. The main reason for eating so much junk in the first days of an MMO’s release is that junk food is quick and easy to prepare. But it is possible and EASY to cook big batches of healthy food that is every bit as quick and convenient as junk food. Cook a large portion of meat in the oven(5+ pounds). Cook a large batch of sides(5+ pounds). Rice can be cooked up in large batches and easily stored. Heat up a slice of roast beef/roast pork/roast chicken along with your pre-roasted potatoes and you have meal. Throw some slices of your meat on some tortillias with hot sauce and you have a meal. Optionally you can cook up peppers and onions in less than 5 minutes and really make delicious fajitas. Make a bowl of rice and serve your meat ontop. Add a little soy sauce for flavor. Optionally you can chop up some of the meat and stir-fry in a skillet with veggies and soy sauce/stir-fry sauce for five minutes and make an even healthier and delicious stir-fry. Make a salad. Fill a bowl with salad greens, chop up meat and put on top. Optionally add avocados, tomatoes, onions, etc. Boil pasta noodles and mix part of your meat with spaghetti or alfredo sauce to create delicious pasta in the same amount of time it would take you to cook a packet of ramen noodles. Just eat a piece of meat cold! It’ll still satisfy and help fuel you. They cause spikes in your blood glucose levels, which will lead to a immediate spike in energy levels followed by a large crash. MMO launches are marathons, not sprints. Junk food will give you short-term energy at a cost of lethargy an hour later. Ontop of that they are empty calories which will most likely be stored as fat. The goal with a healthy snack is to give you a burst of quick energy so you can play for another two to three hours before needing to eat something more substantial(or another snack). The guacamole is great to eat by itself but you can also spread it on tortillias to make a guacamole taco. Fruit with peanut butter. An apple or banana with two to three tablespoons of peanut butter contains the perfect mix of carbohydrates, proteins, and fats to keep you fueled for three to four hours. Beef Jerky. Expensive, but delicious, and perfectly healthy. Pure protein! Nuts – almonds, peanuts, mixed nuts. No one nut is especially superior to any others. I prefer almonds just because of their taste. Dried fruits – these can help stave off your sweet tooth, but I would recommend against eating too many as they are still very high in sugar content. Craisins are delicious! Back when I played WoW regularly I would often tell myself “okay just one dungeon and then I’ll go workout.” Well nine times out of ten that “one dungeon” turned into ten and I just skipped my workout for the day. Rationalizing to myself that I would make up for it the next day. Remember your priorities. Hitting max level is cool, but five years down the line what is going to matter to you? The fact that you were one of the first level 80’s on your server? Or your health? Don’t let your excitement for a new game cloud your judgement and make you lose sight of your true priorities. I recommend writing out an affirmation and promise to yourself. “My health is my number one priority and I will only play after I’ve finished my workout.” Write it in the comments below if you’re serious about making a commitment to being a healthy gamer. I will be doing bodyweight squats, pushups, pullups, flutter kicks, and crunches every hour. Increased blood-flow! Doing just one set of squats can raise your heart rate and increase the blood flow to your brain for the next half hour. This will lead to increased alertness in game. Small sets of bodyweight workouts add up for big results. Doing ten sets of 10 pushups a day over the course of a month can increase your maximal pushups by more than 30! Burn more calories. Doing ten pushups and fifteen squats seems small, but again doing it throughout the entire playing day can add up to hundreds of extra calories burned. Exercise releases endorphines which will make the gameplay experience even more enjoyable for you. Note: Don’t tie your exercises to negative events in game. For example many people will set a rule of doing ten pushups everytime they die. While this may look like a good idea on the surface what you are actually doing is building a connection in your brain between negative events(like losing, or dying) and exercise. Eventually this can get to the point that simply by doing an exercise you will trigger the negative emotional state associated with losing or dying. I have an entire write-up on standing desks here if you would like to read it. But the cliff notes version. Standing burns 50 more calories per hour than sitting. 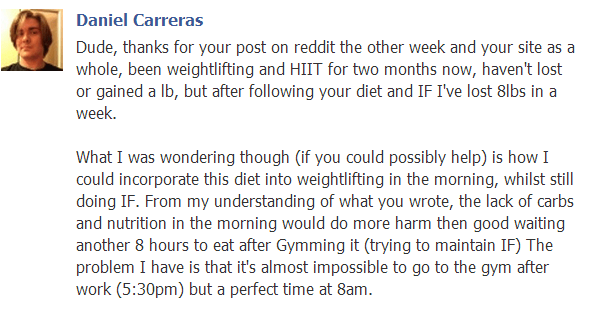 Standing for 12 hours playing MMOs will lead to an extra SIX HUNDRED calories burned for that one day. Now you don’t need to do anything as crazy as this, but generally it is much better to take small naps(20-30 minutes) then try to push through fatigue by using caffeine. The use of energy drinks is actually detrimental to your overall play time. What you are doing is essentially borrowing energy from the future. Your body cannot sustain the caffeine fueled energy for more than about 24 hours and eventually you will crash really hard. This crash might cause you to sleep 10-11-12 hours. Whereas if you had just taken a small 20 minute nap when you started feeling really tired you could continue to play with 5-7 hours of sleep per day indefinitely without ever crashing hard. Multi-vitamin. I recommend NOW Adam: http://www.thehealthygamer.com/nowadam Cheap multivitamins that you buy from Wal-Mart don’t dissolve properly and studies have shown that most of the cheaper multi-vitamins mostly pass through your system without being absorbed and come out in your poop looking much the same as the way they went in! Vitamin D-3. D-3 is produced by your skin when it is exposed to sunlight. 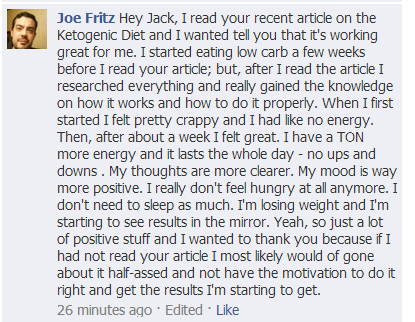 The internet is full of anecdotal stories of individuals who cured their depression and low energy/low motivation through supplementing with high doses of vitamin D-3. I recommend taking 5000 IU’s per day since none of us are going to see an ounce of sunlight for the next few weeks. You can D-3 at most grocery stores. Cutting out sodas and energy drinks can be very difficult especially if you’re dependent on caffeine. Drinking green-tea can give you the caffeine you need to stay alert and energized while cutting out all the sugars and other junk that come along with energy drinks and sodas. And if that weren’t enough they’re also full of powerful anti-oxidants with innumerable health benefits! Staying healthy during an MMO release comes down to prior preparation and a few simple choices. I want to leave you with this message for the conclusion. Remember that the longest journey begins with one step. None of us were born with rippling six packs and twenty two inch biceps. These are built over the course of years through consistent hard work and dedication. If you’ve been neglecting your health choose to change that TODAY. Legendary items are getting a buff! A big one! Not only will they have better stats all around, but they’re going to have unique affixes. Such as affixes which spawn demons and angels to fight beside you, and affixes that give you elite mob skills(like shielding and molten). Weapons will get an overall buff. 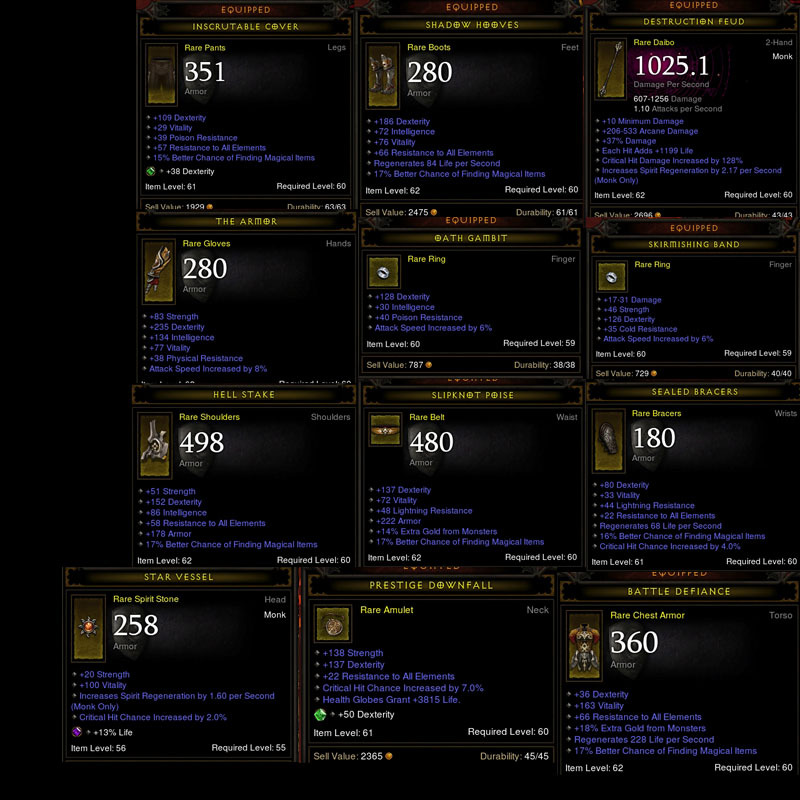 iLvl 61 and 62 items now can have as much top end DPS as iLvl 63 weapons, which should hopefully fill the market with more attractive weapons that have good LoH/Dex/Crit hit damage. I’ve seen so many weapons with +800 LoH and 300 DPS that I want to cry. Hopefully this alleviates some of those moments. Legendary items will be added which promote build diversity. For example this spear increases the thrown damage of Barbarians by 45%! These open up a whole world of possibilities. Builds that are completely non-viable as of now could become extremely powerful with the right gear set up(providing Blizzard implements this correctly). Elites are getting a nerf(10-25% reduction in health) and also some of the more frustrating affixes are getting nerfed(fire chains, vortex). This should open up a whole new world for monks and spirit per second items. Effectively spirit per second items have gotten an indirect buff, because spending spirit on skills like exploding palm/SSS/wave of light is much more effective. I can see some awesome builds using really powerful 2handers with a lot of spirit per second and stacking exploding palm dots on mobs and kiting them to their deaths. Meh, kinda wish they would make passives more interesting, but guess its good that they’re at least not nerfing us this patch. Depending on how well they fix two handed weapons I can see some really interesting builds coming out of this increase. A 2hander with massive DPS and high spirit per second could be great alternative to all these DW LoH builds. Looks like there’s a good chance that spirit spenders will actually be useful. I know pretty much all through Inferno, 90% of my spirit has been spent just keeping Mantra of Evasion up. This really opens up the door to more builds and more interesting builds, especially those focused more towards offensive DPS. And ACTIVE offensive DPS. What I mean by active is that so far most DPS builds have focused around our passive abilities(sweeping wind and tornado procs) so that we were still spending spirit mostly to keep one of our Mantras up and just letting our passive procs and primary attack generate most of our damage. Now we can focus more on using big cool attacks like Wave of Light to do some 300k+ hits to mobs. That should be quite fun. If they fix two handers in an intelligent way this literally doubles our choice of available weapons. This should in theory lead to a lower cost for good weapons across the board both one hand and two hand and give us a much greater variety of weapons and thus builds to choose from. They still didn’t touch Mantra of Healing or Mantra of Retribution! What the hell. These skills are fairly useless in the state they are. Mantra of Healing right now grants us a 960hp damage shield when you hit it. FIFTY spirit to absorb not even ONE THOUSAND damage? Even mobs in Act 1 do way more than 1k a hit. My biggest concern for Diablo 3 still stands, the lack of an incentive to really play after you’ve hit 60 and killed Diablo in Inferno. Yes, 1.0.4 is going to improve the loot and make it more interesting, but I foresee people getting bored again very quickly once the “newness” of the legendaries and builds fade away. You can find all my monk builds here. My youtube channel with tons of Diablo 3 guides here.